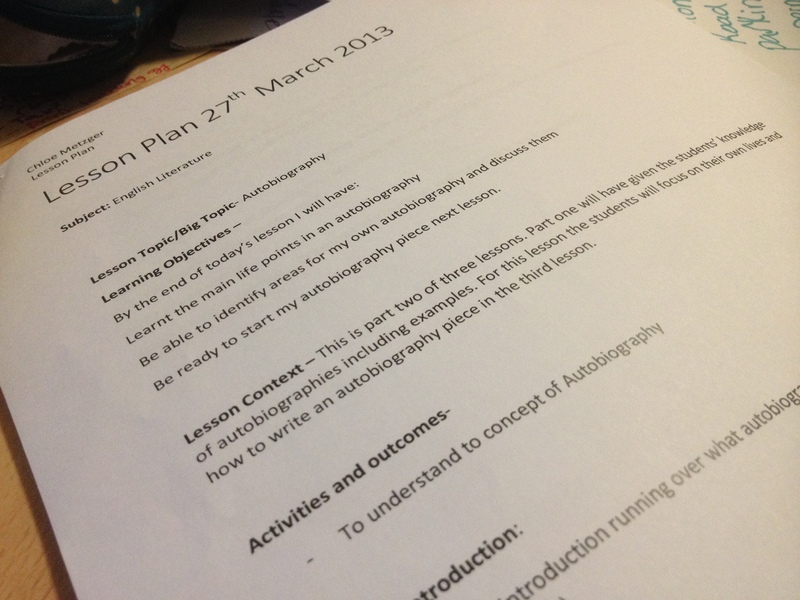 A lesson plan I wrote up… I ended up not using it! I wrote earlier in the week about the fact that I’ve decided not to become a teacher any time soon. I finished my placement today and had a fairly easy day and I still feel the same. The 15 days that I’ve done have made me realise that I love working with children but I couldn’t be a teacher. I want to work with children but on a smaller scale, maybe even as a teaching assistant? I also didn’t get the feedback I wanted which is a shame but that’s not to say I wouldn’t go back and work in a school again. This is just a quick and early blog tonight because I’m finally going out with some girls! The lovely Daniela invited me to meet some of the girls who will be in full field English with me next year and I’m really nervous. Let’s hope my bowling skills are up to the task!